One of the biggest and most memorable moments for every piano player out there is the moment when the purchase happens. The acquisition of the beautiful instrument used to produce those sweet sounds. The acquiring of the piano. No wonder it's so. Besides the fact that buying this instrument can get quite a financial investment, there are a lot of options to chose from. You have to chose a digital or an acoustic version and some of us step into the great baby grand vs grand piano selection perplexity. If you are about to buy a piano, we are here to help you on this path. From A to Z, let us consider what types of pianos are there and what are the best options for you. Let us start by taking a quick look at how pianos are sectioned into groups. Firstly, there is a major breakdown in accordance with the ways the piano can produce sound. In this scenario, there are two major divisions of pianos. Those would be the acoustic piano and the digital one. The acoustic piano is probably what we think of when we think of a piano – the instrument crafted through time. The acoustic piano uses a set of metal strings and hammers to produce sound when the keyboard keys are pressed. The intensity of the pressure changes the intensity and the loudness of the sound. This type of piano is acoustically more complex. The sound is organic, produced by human force implemented to a string to produce the note through the keyboard. The variations within the acoustic ones give a specific feel to each and every instrument. Therefore, we could say that every acoustic piano has a specific sonic soul and no one truly sounds the same as another. The digital piano is the further development of this instrument in the 20th and 21st century. This type of piano has the same 7 octaves, 88 keys keyboard. Still, it relies on technology to produce sound. 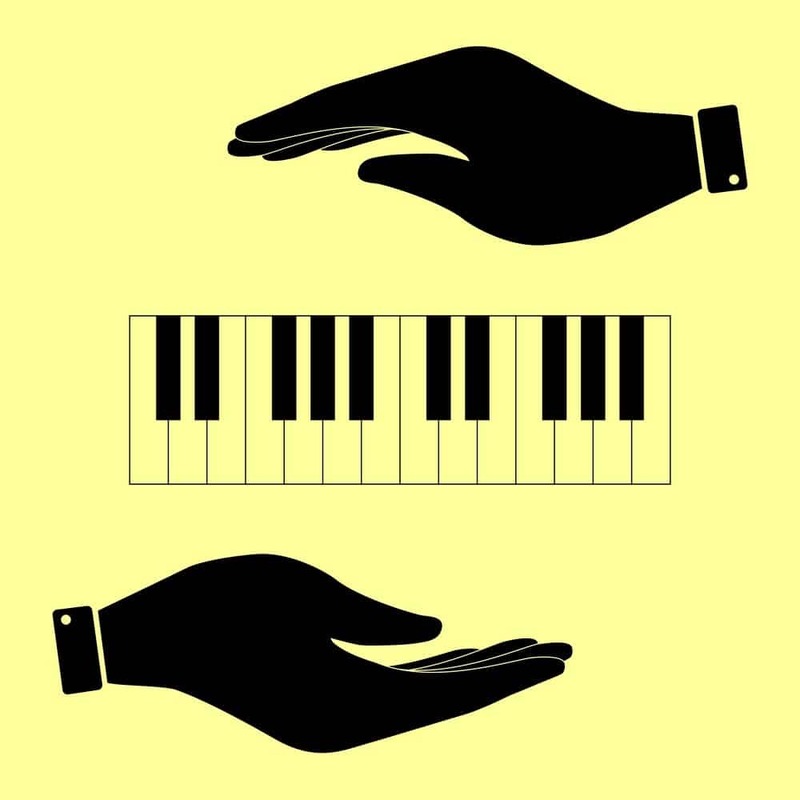 When the keys are pressed, usually the computer in the digital piano calculates the input and produces the sound through speakers. It is invented to replicate the sound of the piano but most of these instruments also have an option to also replicate the sound of other instruments as well. 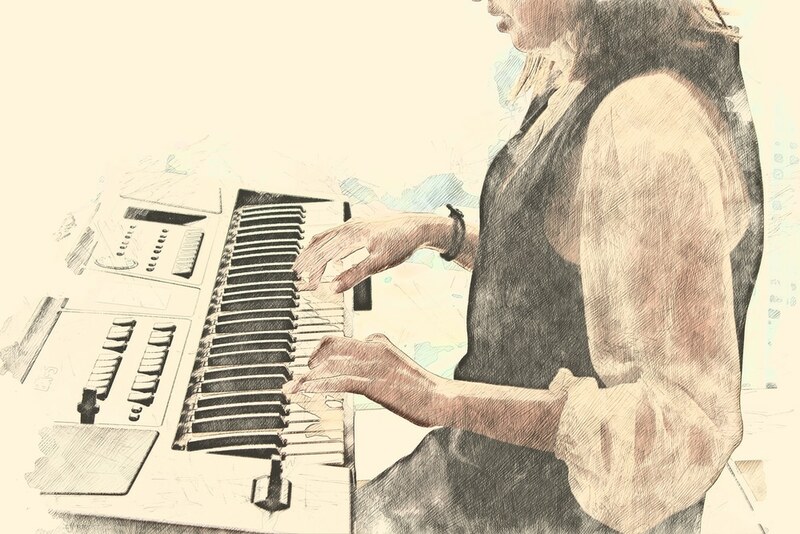 For people doing music production and for composers, the digital piano is a popular option. It can easily be linked to a computer to produce, compose or note music directly onto a virtual sheet. Within this division, it is also significant to note that there are some pianos that are hybrids of these two types. These hybrid pianos are not so widely spread, but are also an option. They also vary in the way they bridge the previously mentioned gap. 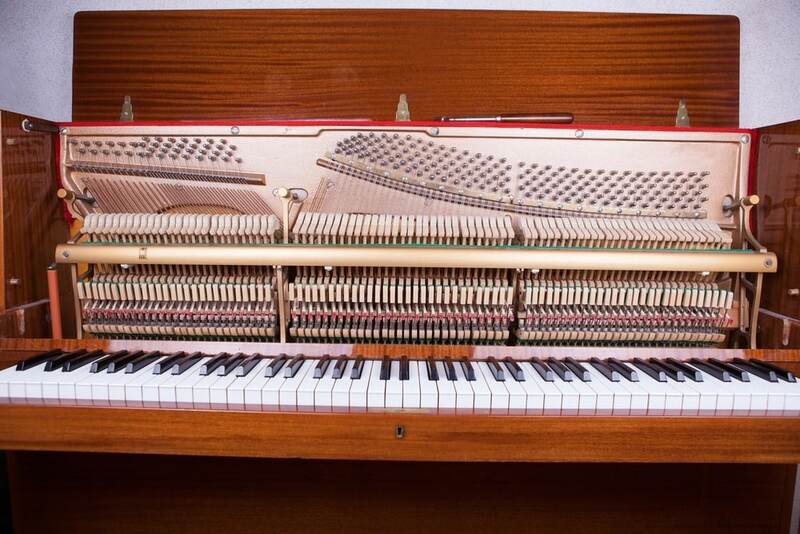 The acoustic piano is sectioned into two major categories. These are the horizontal and the vertical pianos. The horizontal ones, also known as the grand pianos are the ones that position the strings horizontally, while the vertical ones have them upright. Usually, the vertical pianos are the more popular option. They take less space, have the acoustic sound not so noticeably different than the horizontal ones and are less expensive. The horizontal pianos have more force and are simply the more powerful instrument. 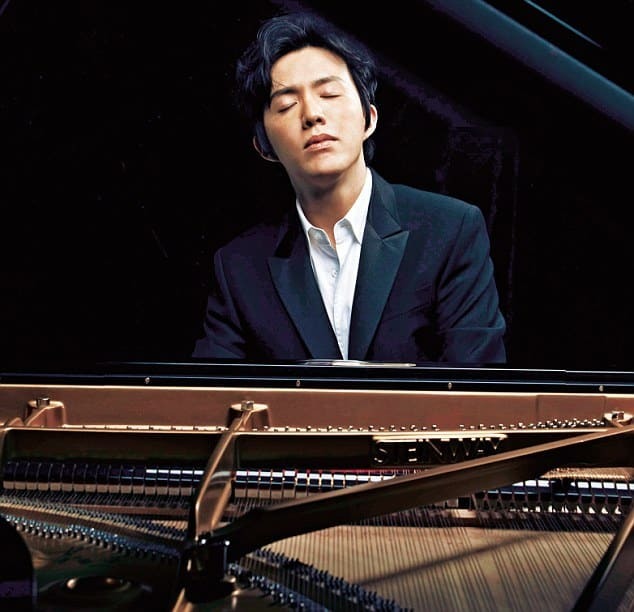 They are considered to be more responsive when playing, and they are the type of piano used by almost all of the professional pianist when preforming. Still, they are larger, heavier and are usually more expensive. The petite grand is the smallest horizontal piano. It's size ranges from 1,35 to 1,47 m . Regardless, it is a popular option for those who wish to own an instrument not so large in size but able to produce some serious force. Still, these pianos do look somewhat odd, as they do seem like a compressed version of the bigger grand pianos. This drives some people away from getting them. The baby grand is the most popular grand piano option. It is 1,5 to 1,68 m long. They sound good and are a beautiful instrument. The medium grand fits the size scape between the baby grand and the parlor grand. It's sizes goes from 1,68 to 1,73 m.
This type of piano, also known as the living room grand is 1,83 to 2,08 m long. It 's size visually differentiates it from the medium grand to a fine extent. This makes it a truly representable instrument. 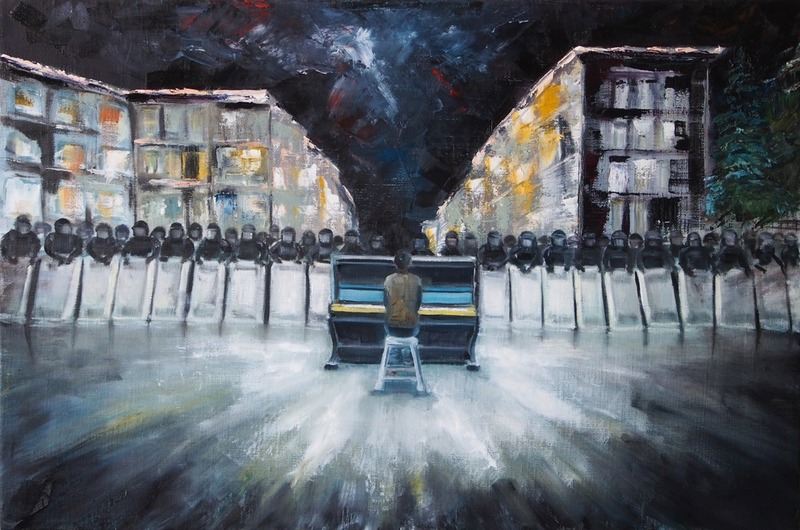 The semi concert piano ranges from 2,15 to 2,35 m. With it's sound being almost as equal to the concert grand, this instrument is sometimes found in concert venues and used as an instrument of performance for professional pianists. The grand piano is the biggest piano there is. It's length starts from 2,75m and some grand pianos are up to to 3,05 m long. This piano is the king of all pianos, with it's sound being the most sonorous one. For those who are considering getting a horizontal piano, there is one usual question. Should they settle for a baby grand or go all in and get a grand piano? 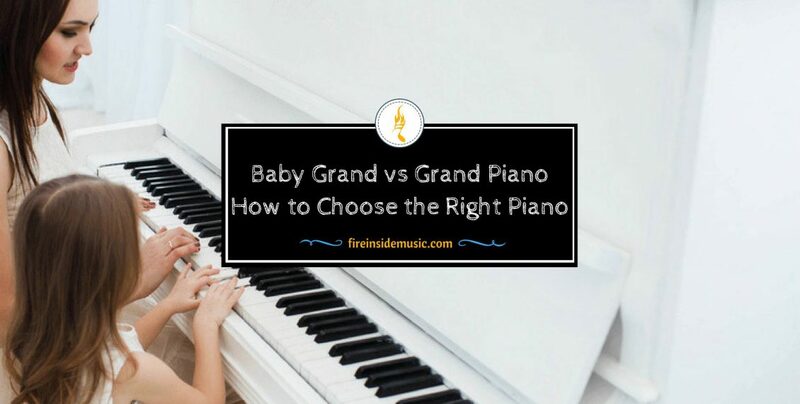 Let us state the obvious first – a baby grand is already a grand piano. The capabilities presented on a baby grand can be, if able to find a good make, mostly equal to the options offered by a grand, concert piano. Still, let us be realistic- the grand is the grand. Yes, it is heavy and bulky and it is a fuss to maintain it. However, if you have the space and the financial capability to get one, it will, in most cases, be the more compelling and simply the better option. The spinet is the smallest acoustic piano there is. The spinet is a good option for those wishing to own an acoustic piano but do not have the space to have a bigger piano. Still, keep in mind that this piano is less receptive to finer interventions when playing. The console is the finer, bigger version of the spinet. As an instrument, it gives more space for expression. One other thing that makes this piano into a good solution for some is that it has multiple styles. Therefore, a console can be found to aesthetically match almost every single space. The studio is most probably the type of piano you learned to play on, if you went to a music school. This piano is more forceful and durable which makes it a great investment. The upright piano is the biggest vertical piano there is. It can produce a forceful sound, rich in texture. They are also a durable instrument and are a popular choice for a lot of pianists. Having covered all the main types of pianos, let's move into the more practical issues you should be taking into account when getting this instrument. One of the really important things we are sure you already have in mind is how much space do you have in your lodgings for a piano. The piano is a sizable instrument and will take a considerable amount of spatial planing to fit it into any normal sized room. Also, you have to think about acoustics of the instrument itself when planing for a piano in any space. We suggest you take a look into this article to get some ideas how to solve the piano – space issue. 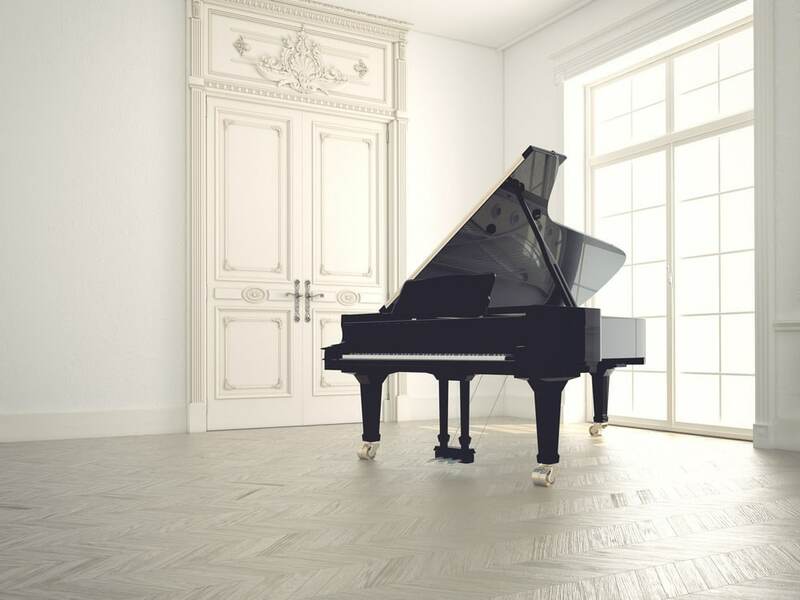 Keep in mind that you should always get a piano you can properly position rather than a bigger one you will not be able to give ''space to breathe''. Another quite important thing you should be taking into account it is that every piano will need constant maintenance. The rule is to tune the piano at least every year and also every time you decide or have to move it. Also, you might have to invest in some smaller fixes down the line to secure that fine sound that drew you to your piano of preference. Concerning maintenance, keep in mind that almost all the horizontal pianos will cost more to keep in shape than the vertical ones. Also, in the case of some more severe events like possible fire or water damage, the bigger ones might cost a small fortune to get back in tune. The main question to consider when getting a piano is - what do you need it for? Are you a professional pianist or are aiming to be one and need of an instrument to practice on? Are you a teacher and need a durable instrument? Are you a musical producer that should have an easy way to link the music played to a computer? Or do you wish to get a beautiful instrument as an addition to you living space and the sound itself maybe is not that important? All in all, your specific needs should guide you to that instrument that is just right for you. Consider all the various options stated above and go for the one that fulfills your specific needs. People will probably have advice to give and will suggest ways to approach the final decision. Still, remember, you are getting an instrument for yourself and should cater to your needs without anything else getting in the way. We have come to the biggest question when getting a piano. This is, as we stated already, a pricy instrument to maintain. In addition to that, this is a pricy instrument to acquire in the first place. Therefore, do not get carried away. Thinking about the previous point we stated, get a piano in the range you can afford. If buying a piano from a previous owner, be patient. Also, you can bargain the price down. Pianos are not easily sold and you have to commodity to take your time in choosing one that best fits your financial needs. A final thought when getting a piano is the insurance of it . If you are getting a pricier instrument this might be a good option for you. This is especially true if you are sharing an apartment with someone or are getting a piano for a commercial venue or purpose. If you get insurance in these scenarios, you could end up saving a lot of money down the line for unexpected damage that could occur. Keep in mind that a more expensive or a bigger instrument will probably cost more to insure. In summary, every instrument has a specific benefit and some cons to it. The most important thing to keep in mind when getting a piano is what are your needs. They will shift you towards what is best for you. Also,it is good to keep in mind that for every price range there is a good solution there and that the price range does usually show quality but this is not always the case. We hope you found this piece helpful. 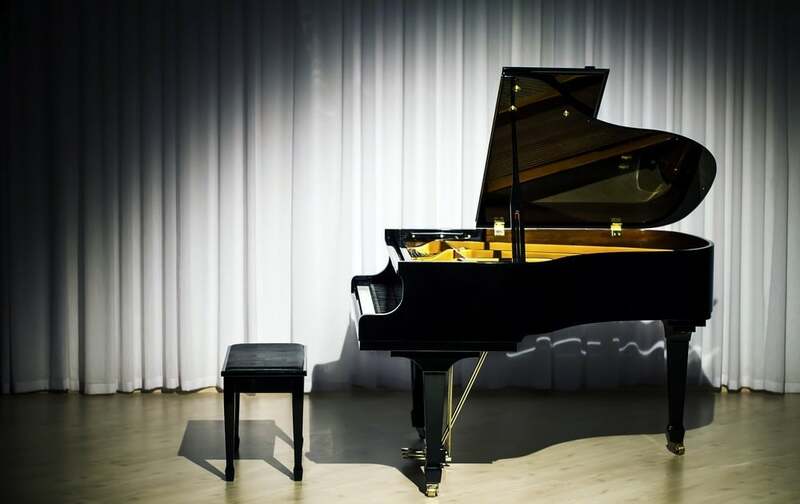 We are eager to hear what type of piano you own or wish to own and why in the comment section bellow. Also, make sure to forward this piece to a friend or family member in need of some good guidance.